With this quote, Strabo, the famous ancient Greek historian and geographer described the relation of Macedonia to the rest of Greece when he was describing the known ancient world. The rest of his geographical encyclopedia describes the Macedonians and their lands and is a testament to the Hellenism of Macedonia through the perspective of the ancients . There is overwhelming evidence that the ancient Macedonians, their civilization, their culture, and their history were Greek ever since they settled the lands north of Mt. Olympus about 2,000 BC, and most modern classical scholars and archaeologists agree on these points . As it stands, even historians like Eugene Borza who have not totally supported the fact that the ancient Macedonians were Greek, do state that by the time of Philip II and Alexander the Great, they had been absorbed and assimilated by the Greeks . However, since Borza, more evidence has emerged about the ancient Macedonian civilization and language being undoubtedly Greek. This is not considered theory any more and even those historians who had disagreed did so based on the information they had about this civilization at the time they were writing their dissertations or theses. The late Nicholas Geoffrey Lemprière Hammond, long considered to be the world’s expert on Ancient Macedonia was the first to suggest that a town in Macedonia, Greece known as Vergina was likely the place of the first Macedonian capital, Aegae . Sure enough, in 1977, one of the most important discoveries in Greece was made near Vergina where archaeologist Manolis Andronikos found the probable tombs of Philip II and various other members of the most famous Macedonian royal house. All tombstones or steles discovered in the vicinity had Greek inscriptions, and the pan-Hellenic symbol known as the “Sun of Vergina” adorned many ornaments and armour belonging to the royal family. 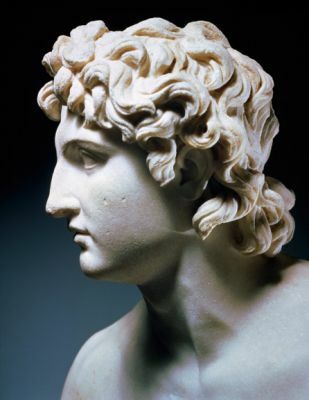 The Macedonian royal house traced its origins to Argos in the Peloponnese, and Alexander the Great believed he was a descendant of the demi-God Hercules. The Macedonians participated in Pan-Hellenic summits, and participated in the Olympic Games – sporting events reserved solely for Greeks. The capital city of Skopje was never part of any historical Macedonia. Ancient Macedon spanned the area roughly corresponding to the modern administrative unit of Macedonia in Greece. It did contain a small part of the modern country of the FYROM known as Pelagonia. North of this however, the area was known as Paeonia in antiquity, and further north was the land of Dardania with Skopje (Scupi) as its capital [2, 10]. When the Romans defeated the Greek king Andriscus, Macedonia passed on to the Roman Empire in 146 AD and became a province known as Macedonia Prima  while southern Greece was known as Achaea. The Dardanian town of Scupi was not part of this either. When the Roman Empire in the east became the Byzantine Empire, northern Greece was separated into various themes or administrative units. The theme of Macedonia was then further East in what is known as Thrace today . Later, during the Ottoman Empire, Macedonia ceased to exist as an official designated name. Instead, the Empire was divided into administrative units called vilayets. While most of what was ancient Macedon was part of the vilayets of Manastir and Selanik, Skopje (called Uskub at the time) was further north in the vilayet of Kosovo . It should be added here that later during the 19th century and the beginning of the 20th centuries, the Slavs of the city of Uskub self identified (and were also identified by others) as Bulgarians who spoke a dialect of Bulgarian . What is also interesting is that Skoplje (Skopje) was the first capital of medieval Serbia and of the Kingdom of Serbia in the early 20th Century. The idea that there is a geographical region named Macedonia that includes parts of Greece, Bulgaria, and all of the FYROM is a political one and originated with the expansionist dreams of Bulgaria in the late 1800’s. It was however, solely used as a geographic term to describe where the Bulgarians of the Balkans lived and was not an ethnic designation There was never any country named Macedonia or a Macedonian nationality. In fact, when the pro-Bulgarian Prime Minister of the United Kingdom, William E. Gladstone coined the phrase “Macedonia for the Macedonians” in 1897 he was thoroughly criticized by William Miller, a Balkan traveler and historian, as being out of touch with the reality of the region if he implied that there was a true Macedonian ethnicity . Many historians of the time pointed to the Ottoman statistics for the Balkan vilayets that failed to mention any Macedonian ethnicity . The Greek element and struggle in historic Macedonia remained intact throughout the Ottoman occupation and persisted during the Slav and Bulgarian invasions of the Middle Ages. 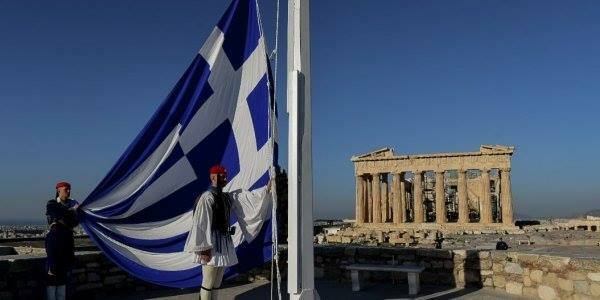 While southern Greece attained its freedom from the Ottomans in 1821, northern Greece was freed in 1912. There were, however, many Greek revolutions in Macedonia that were suppressed by massive numbers of Ottoman Turks (Greek leaders were Emmanuel Pappas in 1821 in Eastern Macedonia, Anastasios Karatasos in 1821-3 in Western Macedonia, and Evangelos Korovangos in 1878 around Mount Olympus). The thirst for freedom did not end there and when Imperial Russia (wanting a Slav satellite in the Balkans with access to the Aegean Sea) started supporting the creation of a Greater Bulgaria in 1870, innumerable Greek peasants in the Macedonian hinterland resisted the encroaching Bulgarian militias known as the komitadjis – committeemen of the Bulgarian Committee or VMRO (Internal Macedonian Revolutionary Organization) – the first recognized terrorist group in modern history [17, 18]. The current ruling nationalist political party in the FYROM is called VMRO-DNMPE and is the continuation of the original Bulgarian committee. As a result, there was never any “Greater” or “United” Macedonia that was taken over by Greece, and Bulgaria after 1912 as is officially believed in the FYROM. Greece was the first modern country in the region to use the term “Macedonia” as an official political unit in 1914 after northern Greece was freed from the Ottomans a year earlier, and continues to do so . There are about 2.5 million Greeks living there who have been calling themselves Macedonians for thousands of years and who believe they have a cultural continuity with the ancient Macedonians. International Law does state that there exists legal entitlement to the use of a name/term based on historic title (essentially who used the term first and for the longest period of time) . There is a rumour among revisionists in the FYROM that there was never any area in Greece known as “Macedonia” prior to 1988. It is stated that Greece, aware of the fact that the People’s Republic of Macedonia was to secede from Yugoslavia, renamed Northern Greece to Macedonia. This unfortunate lie was started by no other than the former Minister of Foreign Affairs of the FYROM, Antonio Milososki, around 2003 . The reality of the matter is that the Ministry of Northern Greece was named “The Ministry of Macedonia and Thrace” in 1988 after a government shuffle but the province’s name never changed. The People’s Republic of Macedonia was created in 1944 out of the area that used to be Old/South Serbia and Vardarksa Banovina. What was originally The Kingdom of Serbs, Croats and Slovenes eventually became Yugoslavia and it was only then that the Yugoslav dictator Josip Broz Tito decided to add another Slav ethnicity to his communist federation . The ultimate plan was to support a communist uprising in northern Greece and to eventually annex Greek Macedonia into a larger “United Macedonia”. The alarm was raised by the US State Department in 1944 and the US Secretary of State, Edward Stettinius, sent a circular airgram warning American diplomatic missions worldwide that Yugoslav talk of a Macedonian nation was a “cloak for aggression against Greece” . Tito’s right hand man, Edvard Kardelj , together with the help of the Minister of Public Education of the Yugoslav People’s Republic of Macedonia, Mitra Mitrovic-Djilas, and Greek communist collaborators devised a plot to transfer as many Greek children as possible from the border areas of Greece through the Iron Curtain for indoctrination and to use as fighters. Mimicking the old Ottoman act of devshirme (essentially kidnapping), about 28,000 children were removed from their families and displaced throughout Communist countries from 1947 until 1949. After many pleas from the US, the UN and from the International Red Cross, less than 2,000 of these children were returned to their homes [13, 22-26]. The majority of the non-repatriated children (now adults) firmly believe that they are “(non Greek) Macedonians” who were expelled from Greece in an act of genocide. They form the backbone of the nationalist movement in the FYROM and its diaspora [27-29]. 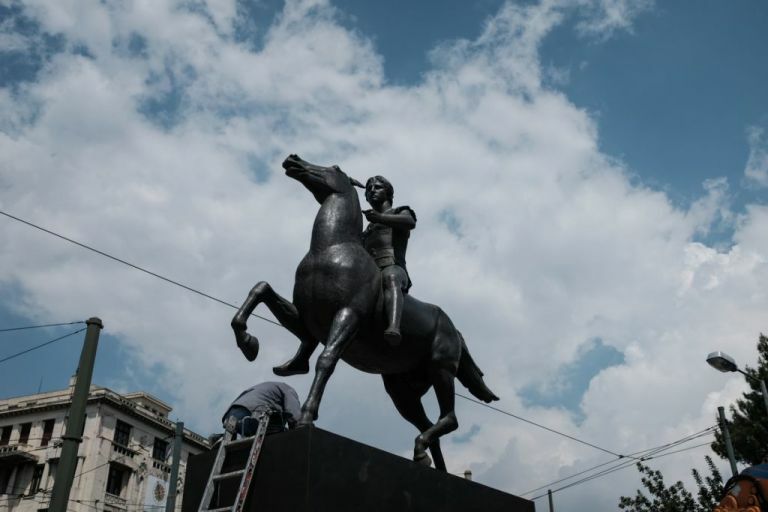 They dream of a fictitious and euphoric “United Macedonia” that will occur by force in the not too distant future and the official government in Skopje is complacent with such ultranationalist rhetoric [30, 31]. 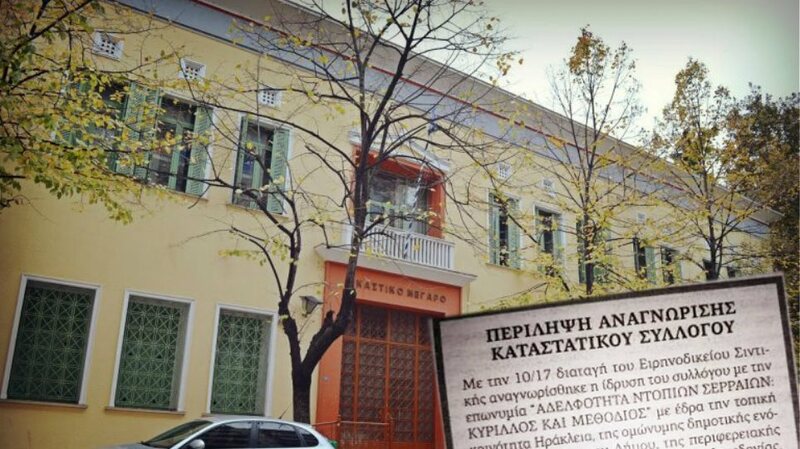 Expressions of hatred against Greeks both at official and unofficial levels of the FYROM government have spread throughout the internet and have even made their way into the FYROM mainstream media . A tribal obsession with blood purity and genetic continuity by the modern Slavs of the FYROM with the ancient Macedonians can be seen through the use of pseudoscientific and racial theories in the national rhetoric [33-35]. Suddenly, Greeks can’t be descendants of the ancient Macedonians because they are descendants of Ethiopian tribes while the FYROM Slavs are descendant from an older and inherently whiter European substratum (ancient Macedonians). While these theories have been disproved by the scientific community , they continue to permeate the FYROM society. 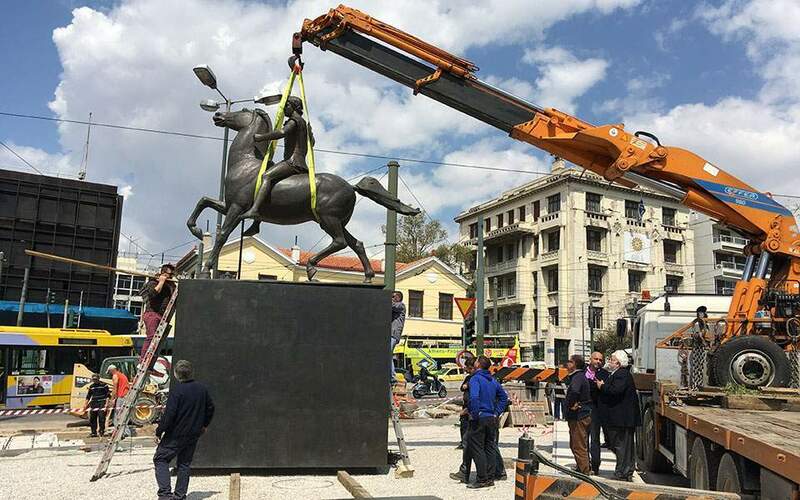 This is the reality that the world faces when dealing with Macedonism – a form of propaganda aimed at appropriating the name “Macedonia/Macedonian” by the FYROM: An aim at antiquization and nation-building that relies on historical revisionism and on a past that was never there. The truth is that Macedonia has been an indispensable part of the Greek psyche, history, culture, and identity for over 3,000 years. Let’s not forget this. We owe this to our children and to future generations. 1) Strabo; H.L. Jones (Editor) (1924). “The Geography of Strabo”. The Perseus Digital Library. Tufts University, pp. Books 6 14. http://www.perseus.tufts.edu/cgi-bin/ptext?lookup=Strab.+toc. Last accessed 2011/10/13; in English. 2) See active letter to US President Barack Obama cosigned by 371 world renowned classicists. http://macedonia-evidence.org/documentation.html. Last accessed 2011/10/13. 3) E.N.Borza, “In the Shadows of Olympus” (Princeton: Princeton University Press, 1990), pages 84, 92-3. 4) http://en.wikipedia.org/wiki/N._G._L._Hammond. Last accessed 2011/10/13. 5) Dubois, Laurent (1995). “Une Tablette de Malédiction de Pella: S’Agit-il du Premier Texte Macédonien”. Revue des Études Grecques 108: 190–197. 6) Masson, Olivier; Dubois, Laurent (2000). Onomastica Graeca Selecta. Librairie Droz. ISBN 2600004351. http://books.google.com/books?id=DE6o-uTvdj0C. Last accessed 2011/10/13. 7) Masson, Olivier (1996). Oxford Classical Dictionary. Oxford University Press. 8) Johann Baptist Hofmann (1950). Etymologisches Wörterbuch des Griechischen. R. Oldenbourg. 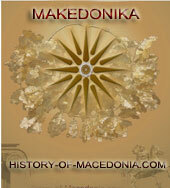 10) http://en.wikipedia.org/wiki/Macedonia_(ancient_kingdom). Last accessed 2011/10/13. 11) http://en.wikipedia.org/wiki/Macedonia_(Roman_province). Last accessed 2011/10/13. 12) http://en.wikipedia.org/wiki/Macedonia_(theme). Last accessed 2011/10/13. 13) Templar, Marcus A. Thesis. A Challenge to the Macedonism of the Slavs (2008). http://history-of-macedonia.com/2009/02/19/the-former-yugoslav-republic-of-macedonia-a-challenge-to-the-macedonism-of-the-slavs-bibliography/. Last accessed 2011/10/14. 14) Blakeslee, George Hubbard. “The Journal of International Relations” (1920). 15) Miller, William. Travels and Politics in the Near East (1898). 16) Dakin, Douglas. The Greek Struggle in Macedonia 1897-1913 (1966): page 20. ISBN 960-8303-2-6. 17) Dakin, Douglas. The Greek Struggle in Macedonia 1897-1913 (1966). ISBN 960-8303-2-6. 19) Bantekas, I. The Authority of States to Use Names in International Law and the Macedonian Affair: Unilateral Entitlements, Historic Title, and Trademark Analogies. Leiden Journal of International Law (2009) 22:563-82. 20) http://www.thedailybeast.com/newsweek/2008/03/25/what-s-in-a-name.html. Last accessed 2011/10/14. 21) www1.mfa.gr/images/docs/fyrom/dilosi_stettinius_dec_1944.pdf, or: U.S State Department, Foreign Relations Vol. VIII, Circular Airgram, Washington D.C. (868.014/26 Dec. 1944). 22) UN Resolutions: 382 (V Section C), 1950; 618 (VII), 1952; 517 (VI), 1952. 23) “Innocent’s Day,” Time, January 09, 1950. http://www.time.com/time/magazine/article/0,9171,811653,00.html. Last accessed 2011/10/14. 24) US President Harry S. Truman, Letter to the Speaker of the House of Representatives on the Plight of Greek Children Abducted by Communist Guerrilla Forces, 1950. http://trumanlibrary.org/publicpapers/viewpapers.php?pid=713. Last accessed 2011/10/14. 25) Bougas, Ioannis. Η Φωνή της Ειρήνης (Thessaloniki: Erodios, 2006). 26) Studies in the History of the Greek Civil War, 1945-1949, eds. Lars Baerentzen, John O. Iatrides, Ole L. Smith (Museum Tusculanum Press, 1987). 27) Danforth, Loring M. (1997). The Macedonian Conflict. Princeton University Press. pp. 54. ISBN 0691043566. 28) http://www.makedonija.info/aegean3.html. Last accessed 2011/10/14. 31) Toronto businessman and community leader John Bitove Sr. being interviewed by Skopje’s “United Macedonian Diaspora” lobby-group president in Toronto (2010). He stated to a cheering crowd that he wished for a “United Macedonia”. (see especially from 3 minutes on; last accessed 2011/06/01). 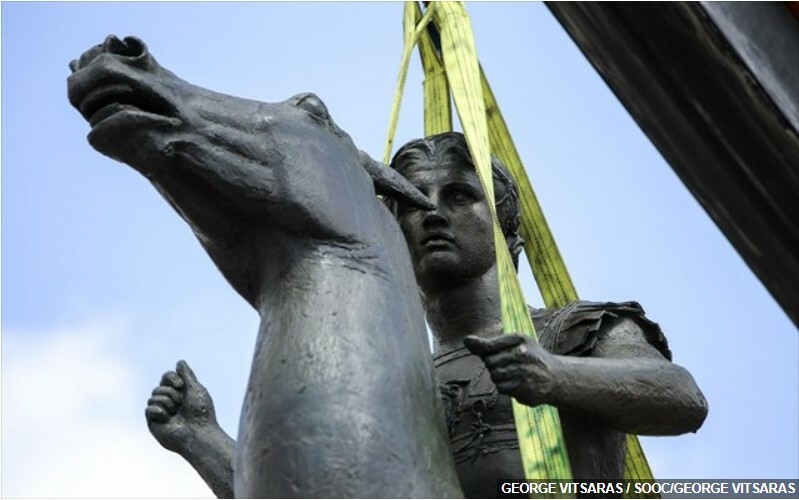 32) http://www.telegraph.co.uk/news/worldnews/1583685/Macedonia-row-overshadows-NATO-summit.html. Last accessed 2011/10/14. 33) Arnaiz-Villena A., Dimitroski K., Pacho A., et al. (2001a). HLA genes in Macedonians and the Sub-Saharan origin of the Greeks. Tissue Antigens 57: 118-127. 34) http://www.maknews.com/html/articles/pan_mac_resolutions/koloski_pan_mac_1.html. Last accessed 2011/10/14.